These steps can only be completed by a management level user that has the appropriate security roles. Speaking of security roles, let’s start there because enabling Electronic Timesheet Maintenance is the prerequisite for configuring Electronic Timesheet Options in Application Settings. Dashboard: Electronic Timesheet Maintenance – When the “Access” attribute is enabled the Timesheet Tracking Dashboard displays, and when “Update” is enabled, there is the option to Sign and Approve employee timesheets. Schedule: My Timesheets Maintenance – When “Access” is enabled, the “My Timesheets” module will be accessible. When “Update” is enabled, the employee can validate and sign their timesheets. 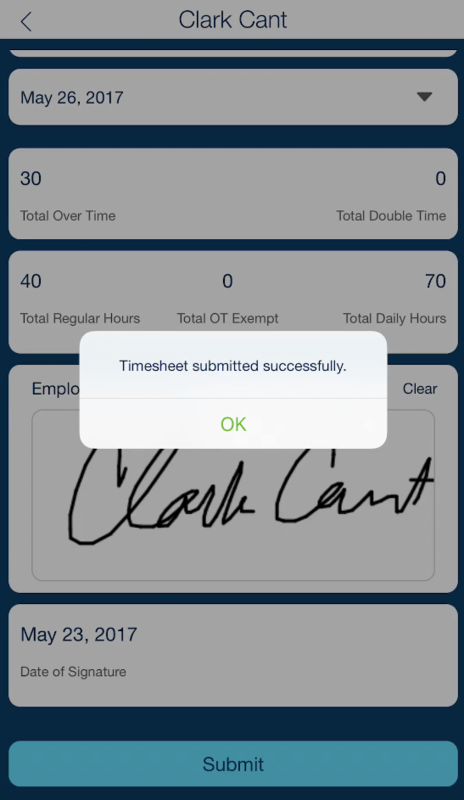 Enabled My Timesheets in QSMobile – When selected, the “My Timesheets” module displays in QSMobile. Consider keeping it disabled until you’re ready to launch electronic timesheets. Allow Open Timesheet Periods – If disabled, employees cannot validate and sign their timesheets for a given pay period until first signed and approved by a supervisor. 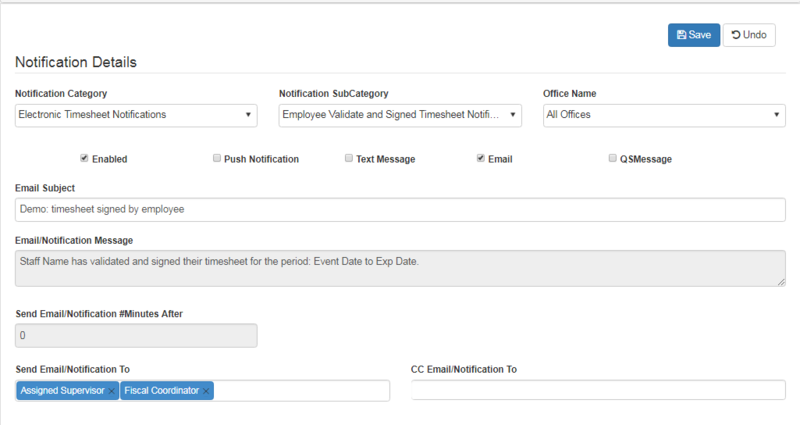 Include Timesheet Without Scheduled Shift – If this is disabled, and the employee does not have any scheduled shifts within the selected pay period, their name will not display in the electronic timesheet dashboard grid, nor will the employee have a timesheet to sign. If it is enabled, they will be given the option to validate and sign a blank timesheet, which is a reflection of no scheduled shifts for the pay period. Timesheet Periods – This determines when and how the timesheet period shows up in My Timesheets. By Work Week – When this option is selected, timesheets are available per work week (as defined in OT Settings). Starting Pay Period – This shows all upcoming work weeks. Select the one for when you’d like to begin using electronic timesheets. 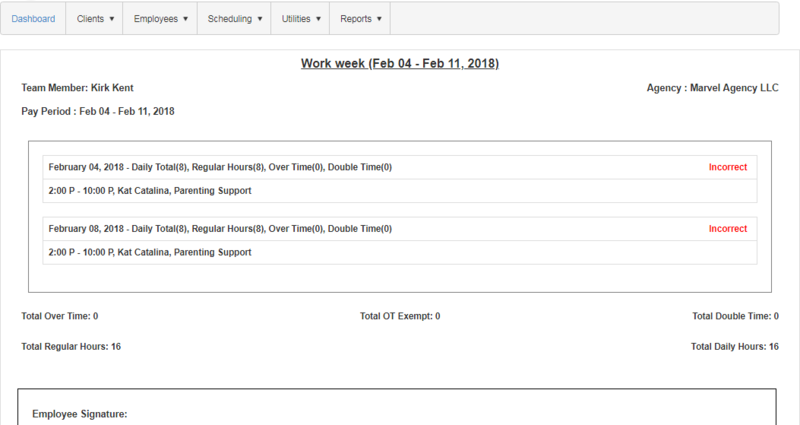 Show ‘Every Two Week’ Pay Period indicators – This partners work weeks together into their respective pay periods by assigning each a pay period indicator as represented by “PP#“. The Pay Periods are numbered based on when the “Starting Pay Period” date set above. By Pay Periods – When this option is selected, timesheets are available by pay period (as defined above in 2.1). The electronic timesheet tracking dashboard is available in QSP (not QSMobile) and it is designed to allow supervisors (which is a general term we use to describe someone who oversees employees and their timesheets) a quick and easy way to electronically sign their employee’s timesheets, as well as track the signature status of each timesheet for each employee. Update Signature – As a supervisor, before you can sign any timesheet your signature must first be added to your employee profile. When your security role has been given access to the Timesheet Tracking Dashboard (go here for that step), you will be prompted to update your signature each time you log in to QSP, and this prompt will continue until it is complete. 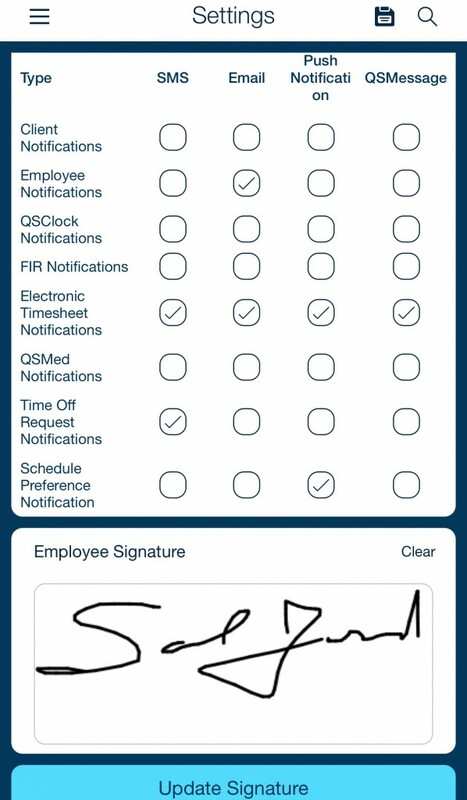 Navigate to the Settings tab in your employee profile (in QSP, or QSMobile) and select Update Signature. Next, draw your signature or use the Select Files option to upload and image of your signature. Timesheet Dashboard Filters – There are two filters that control the details that load in the electronic timesheet tracking grid. The first is the work week/pay period. Selecting the desired option will populate the grid with the details for the selected timesheet period, which would have already been configured in application settings. Secondly, is the employee filter. By default, the “Show my case load” filter is chosen. 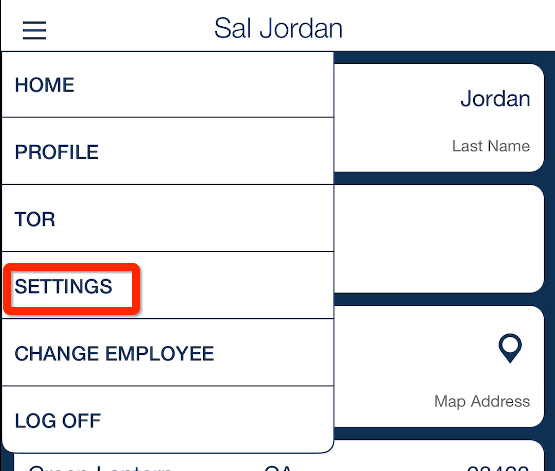 Toggling to the “All” filter will load all employees in the company for the selected timesheet period. A “case load” is defined as the employees belonging to an “Assigned Supervisor”. To make this optional designation, go to each employee’s profile, and under their Employment Details tab, find the “Assigned Supervisor” drop down, and select their supervisor. Timesheet Statuses – Depending on your settings, a timesheet can be in 1 of 6 statuses at any time. Completed – Green check marks in both the Approved by Supervisor and Signed by Employee columns. This is a completed timesheet. Approve, View and Remind – When a supervisor is ready to sign an employee(s) timesheet, simply select the checkbox next to one or more employee’s name and click the blue button “Sign and Approve”. Each employee’s name is also a hyperlink and when clicked, a new window opens up to their specific schedule. 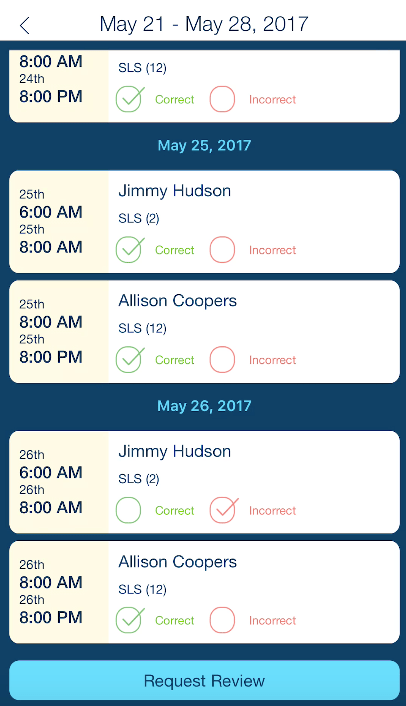 The “Remind” button can be used to resend a notification anytime a supervisor is awaiting an employee’s action to their timesheet. For more on configuring Electronic Timesheet Notifications go here. 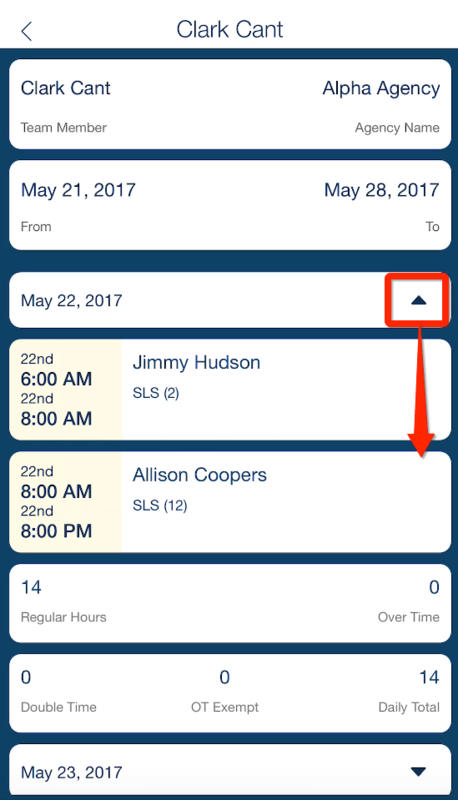 Details – The “Details” button can be selected at any time to view the employee’s electronic timesheet. If that timesheet has an employee requested review, the specific shifts will be labled as “Incorrect”. Also, if the green check mark is selected in the “Employee Requested Review” column, you can view the employee’s comments. If email delivery is enabled, there will be an option to create a custom Email Subject. Below is a list of the 5 types of notifications (sub categories) that can be configured under Utilities -> Notification Maintenance. First, select Electronic Timesheet Notifcations from the Notification Category, then, one by one, setup each sub category. Only the notifications triggered by the employee (“Sent by Employee”) need a listed recipient. Select the employment position(s) that will receive these types of notifications. If “Assigned Supervisor” is chosen, it will send to that employee’s listed supervisor. 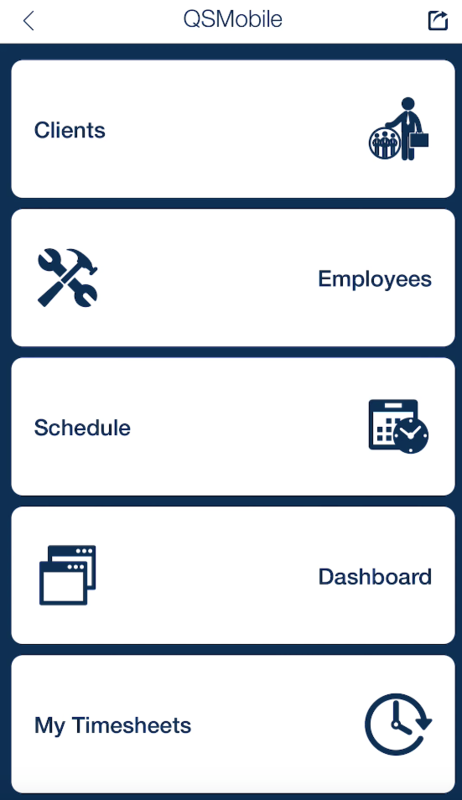 QSP’s Electronic Timesheet is a feature located within QSMobile. Therefore, to access, you must first install QSMobile from the Apple App Store or Google Play Store. Directions for installing and configuring QSMobile can be found HERE. The 3 and half minute video below teaches staff how to use QSMobile to sign off on their timesheets electroncially. 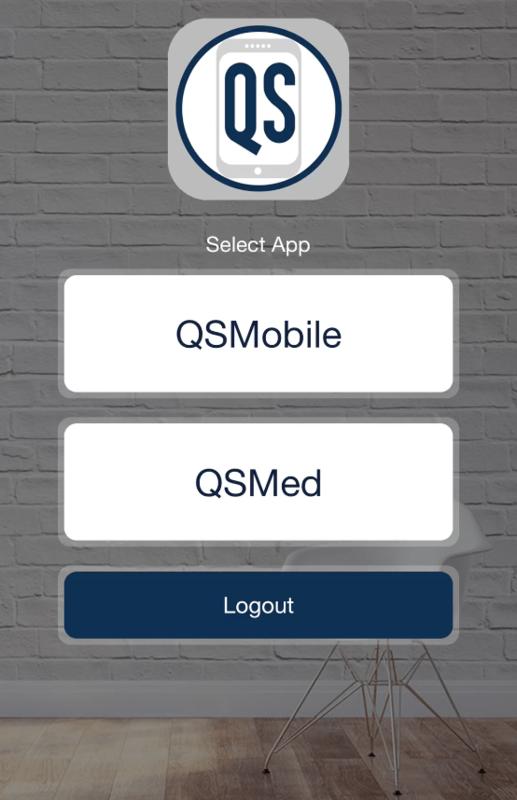 Upon logging in, there could be up to two apps to choose from: QSMobile and QSMed. Select QSMobile. This will take you to the home page of QSMobile. From here select “My Timesheets” near the bottom of the page. The next page shows a list timesheet periods (whether by Work Week, or 1-15th, etc). 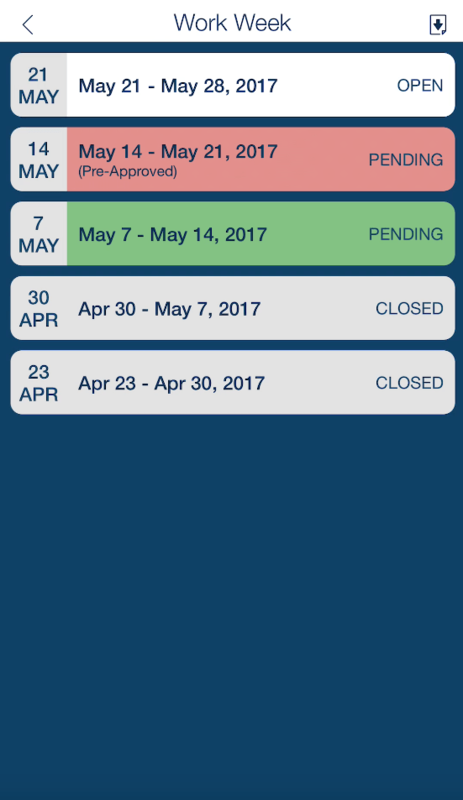 Each timesheet period can have up to 4 possible timesheet statuses: Open, Pre-Approved, Pending, and Closed. Closed (Gray) – A timesheet that has been signed by both employee and supervisor/admin. When selecting an Open timesheet period, you’ll be shown a list of shifts within that period. Select “Correct” next to each shift that is accurate, and “Incorrect” next to any shifts that may be inaccurate. 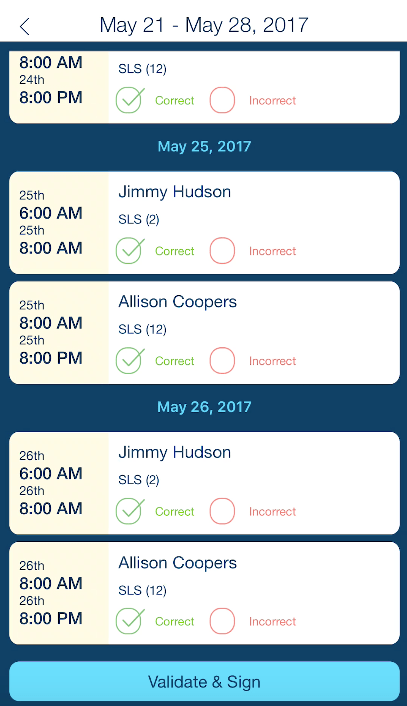 If all shifts are indicated as being “Correct” then a blue button at the bottom of the screen will appear to “Validate and Sign”. 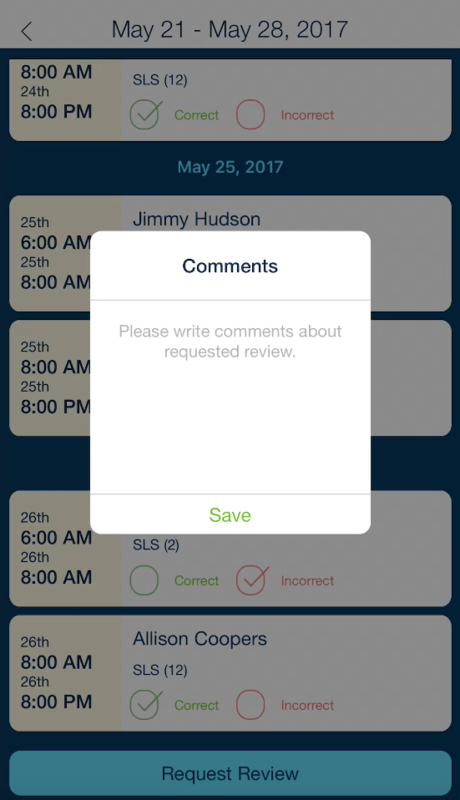 If at least one shift has been indicated as being “Incorrect” then a blue bottom at the bottom of the screen will appear to “Request Review”. If “Validate and Sign” was chosen, then you will be taken to your electronic timesheet where you will see a summary of the shifts you validated were correct, and the total hours worked, and any overtime. 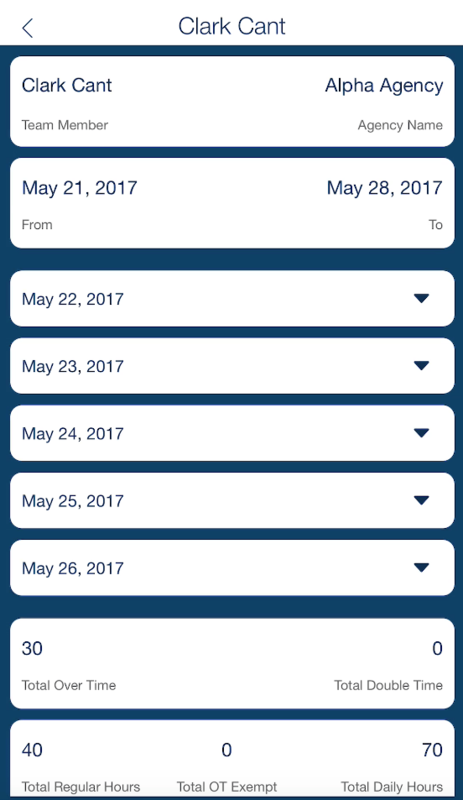 To view the specific details of each day, select the drop down arrow to the right. Near the bottom of this page is where you will add your signature. If you already have your signature saved in your employee profile, then it will be filled in automatically. Once signed, select “Submit”. One last pop up will ask for your agreement, before displaying a successful timesheet submission message. 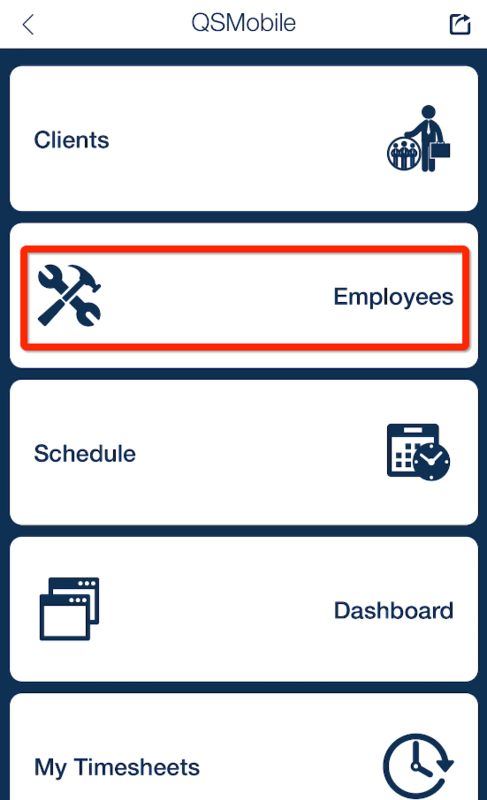 To save your signature and manage your electronic timesheet alert preferences, visit your employee profile by selecting “Employees” from the home page. Then choose your name, and you’ll be taken to your employee profile. Select the menu (3 horizontal lines) in the top left hand corner and choose “Settings”. There are up to 4 ways to receive alerts regarding your electronic timesheet: SMS, Push Notification, QSMessage and Email. If SMS (Text Message) is chosen, please ensure that the number listed under “Cell Phone” in your employee profile is for a mobile device that can receive SMS messages. If email is chosen, please ensure a valid email exists in your employee profile. If Push Notification is chosen, please ensure that when you installed QSMobile you also allowed the app to send push notifications. If QSMessages is chosen, your agency must have first enabled this feature. Once you’ve chosen your alert preferences, select the save icon in the top right hand corner. Each delivery method is dependent upon the parent alert being setup with each option enabled. 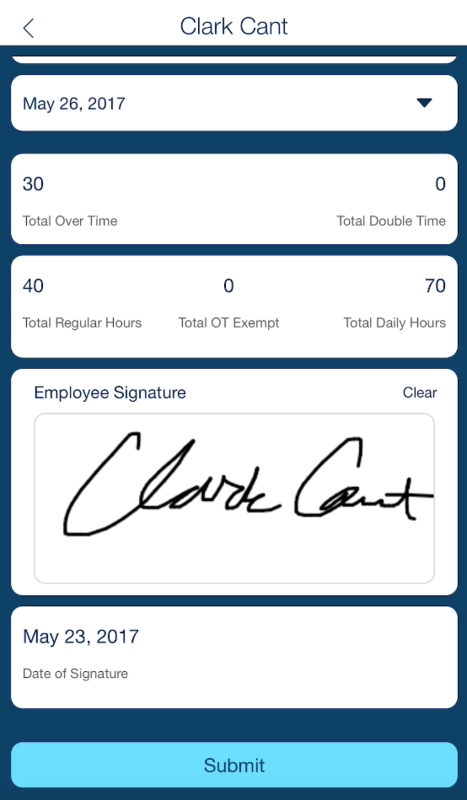 To add your signature, use your finger (or a touch screen tool) by touching within the Employee Signature field and drawing your signature. Once complete, press the blue button labeled “Update Signature”. If you mess up, select “Clear”, and try it again.